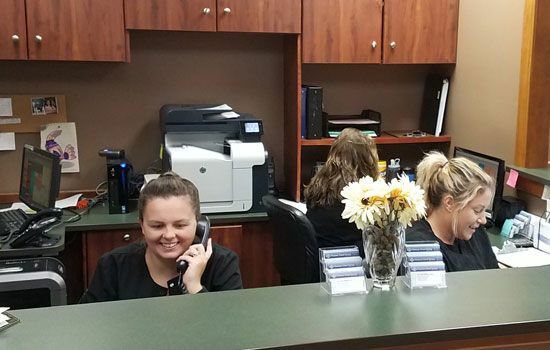 Our family-owned dental office is located in the Historic Old Town in Florissant, Missouri and welcomes new patients from Florissant, Hazelwood, Black Jack, and other communities in St. Louis. We invite you to come visit us! 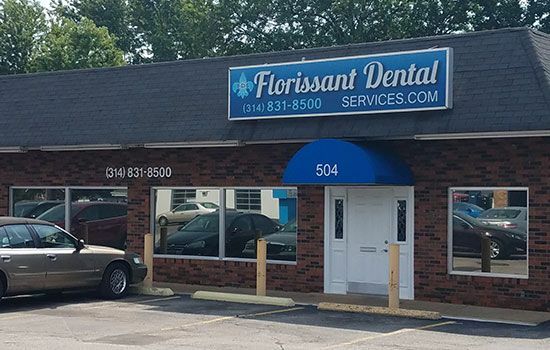 Since 1956, our dental office has been operated by three generations of dentists who are proud members of the Florissant community. Our commitment to excellence runs in the family. We do our best to accommodate patients in a gentle and nonjudgmental way. We are always here to listen and answer patients’ questions and calls, even on weekends. We keep up with the latest technology while oﬀering aﬀordable dentistry, because we want you to have healthy teeth for life! We accept many insurance plans and offer financing, specials, and payment plans for patients without insurance. We are open during evening hours and treat the entire family (kids too!) in one office. Feeling anxious? We provide high quality anesthesia to make treatments painless and comfortable for all patients. We oﬀer excellent preventive care to help you avoid serious dental problems and high expenses. Our primary concern at Florissant Dental Services is your overall health. The best insurance is always regular brushing and ﬂossing, coupled with scheduled cleanings, fluoride treatments, and other preventive care to protect your smile from cavities and disease. We oﬀer restorative services, including fillings, dentures, root canals, and implants, to strengthen and protect your teeth. Your smile can look better and healthier after our cosmetic treatments and teeth whitening. We also provide orthodontic services, including clear and metal braces, to adults and children. Especially for children, we recommend early treatment to avoid more costly and complicated procedures at a later date. 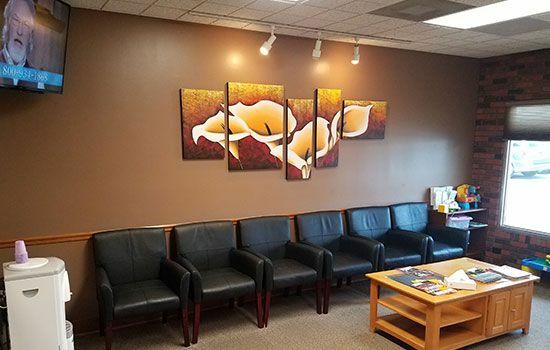 For your comfort, we will provide you with high quality sedation options so you can relax and enjoy while we work to improve your dental health. 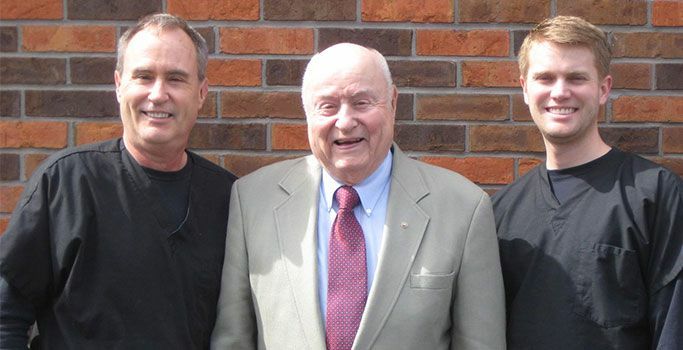 "I have been coming to Florissant Dental for almost 45 years, starting with Dr. John’s dad! I have referred several people. If you want healthy teeth and keep them for a lifetime, Florissant Dental is here to help!" 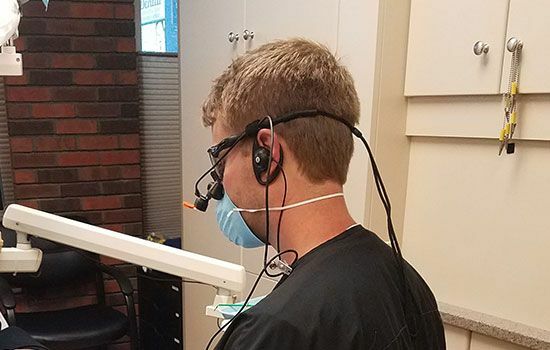 "I have been coming to Florissant dental for about 15 years. I totally trust Dr. Landgraf and his staff with my oral health. The entire staff is friendly and professional. I refer everyone I know to Florissant Dental."